Planning a large vegetable garden will involve creating permanent structures such as storage sheds and compost heaps, and as you have space, dividing your area to rotate your vegetable groups. 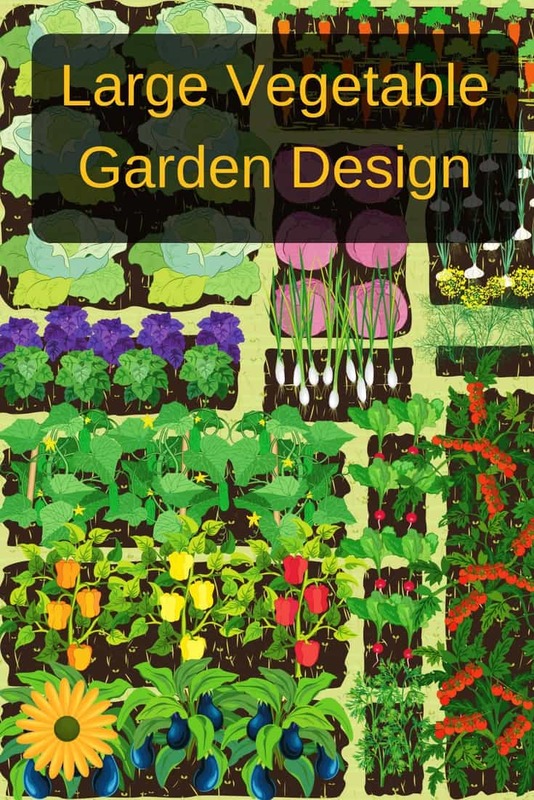 Here are a few ideas that will facilitate a large vegetable garden design. 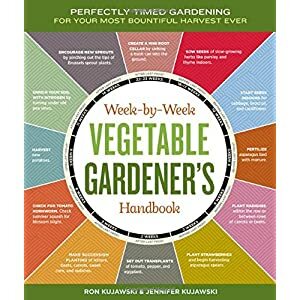 The Week-by-Week Vegetable Gardener’s Handbook: Make the Most of Your Growing Season Large vegetable gardens need to be planned pretty much the same as any garden: they need good light, soil and space. Larger gardens don’t face the problems created by shadows from nearby buildings, and have an abundance of space. You’ll just need to make sure the soil is in good shape for growing your favorite veggies and herbs. As you plan your garden, look into adding some structures such as greenhouses and poly-tunnels that will help you extend your growing season. Year round gardening is one of my dreams ;). With a large space for gardening, you will be able to split your plot into definite areas. This will help with proper crop rotation. It’s important to remember not to try and complete everything in the first season. A large gardening area can be quite daunting, and there’s nothing wrong with starting your garden on a small scale. Each consecutive season you can introduce new structures, vegetables and herbs so you can actually enjoy your time in the garden. Here’s how to build a small greenhouse: it will be very helpful in starting your seeds. As you start your journey into large vegetable gardening, plan to set everything up over two seasons. The first year, build (or purchase) a storage shed to keep yourself organized. Also, set up a water collection system and a couple compost heaps. The second year introduce a poly-tunnel, some fruit cages and permanent crop areas. Although it is very difficult to quantify how much time you will need to grow your own vegetables on a larger scale, you must expect that during the growing season, an allotment sized garden will take up a couple of evenings and at least half the weekend. And as the harvest starts coming in, processing the bumper crops will keep you in the kitchen far longer than you might have imagined. I’m not trying to discourage you, but it is much better to plan with your eyes open. Using beds in your garden makes it easier to care fore your garden. You don’t need to walk on the soil, and you can grow your vegetables a little closer together. This helps yields to improve. It may seem a little wasteful having grass paths between each vegetable patch, but as you never need to dig or feed the paths, it will save you time. And when you think that you need walking space between crops anyway, using beds actually improves the yield. If you don’t like mowing between your garden beds, you can create a stone path or add a ground cover that grows close to the ground. By using succession sowing and closer spacing, you can grow almost every vegetable you eat during the year. If you have a large garden you could create a growing list based on the vegetables you buy more often, and grow the vegetables that you are more likely to eat. But whatever you decide to grow, understanding vegetable groups and crop rotation is very important in a large vegetable garden. 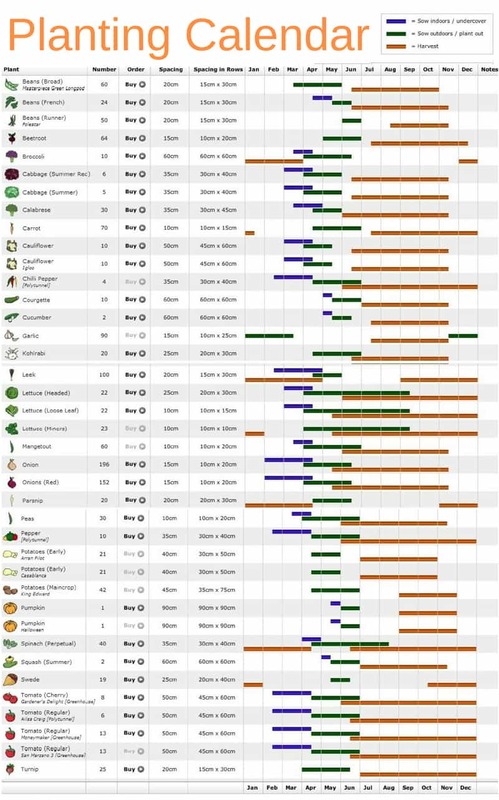 To help our planning we used a vegetable garden planning software, which also converts our plan into a sowing and planting spreadsheet, take a look at our vegetable garden tools page to watch a video about the best software we have used. This growing list is a valuable part of planning a large vegetable garden as it splits the year into definite tasks, that month by month will help you to keep on top of the sowing, planting and harvesting tasks. Keeping to a timetable becomes more difficult when you are growing many different crops. Knowing how many seeds you will need to sow to fill up the space you have allocated for a crop is crucial. And whatever your plan suggests it is a good idea to sow at least 30% more than you need to cover any germination failures or plant losses. You will also need to decide what you will need to sow in one go, and what you would sow in succession. In our plan, almost all the vegetable plants would be sown when suggested, for example we need 120 leeks, 40 calabrese (broccoli), and about 12 courgettes (zucchini), so at the earliest opportunity the plan gives us, we would sow enough seeds to provide us with these plants. We don’t count out each seed: instead we would scatter sow small seeds and double sow larger ones, thinning out the seedlings so that we had the right number of plants. Our plan also directs us to sow over 60 lettuces from the beginning of March, which of course would not be a good idea. Lettuces tend to take a few months to mature, but will only be edible for a few weeks, so unless you can eat 20 lettuces a week you are better off staggering your sowing. This is known as succession sowing. Of course sowing 12 seeds in individual cells will be a real fiddle, so instead scatter sow on each cell and pinch out all but the strongest seedling as they germinate. Would you like to show off your vegetable garden? Send us a message here. An allotment garden, also known as a community garden, is a piece of land intended for growing vegetables. Community gardeners are renowned for their resourcefulness: you can see some amazing and odd structures cropping up on different allotment plots. From wacky scarecrows to makeshift sheds. These initially overgrown sites, under the care of passionate gardeners transform into some of the neatest looking summer gardens you could find. 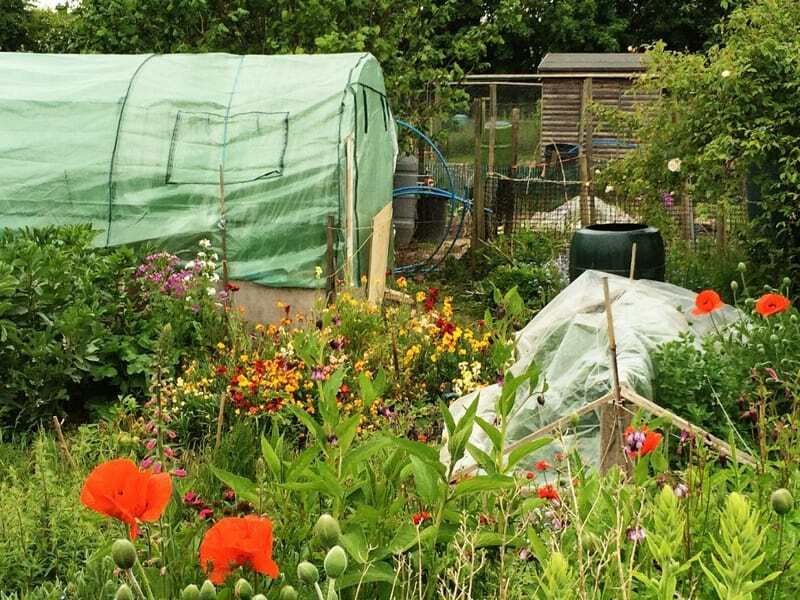 The great thing about an allotment is that you are surrounded by years and years of experience, and the social community of like-minded people makes allotment gardening great fun.